Improve workplace safety with Hummingbird's range of silent horn systems, perfect for installation on any heavy vehicle and in any environment. Integrated GPS and GLONASS technology and rugged, waterproof construction make these the ideal choice for any fleet or worksite. 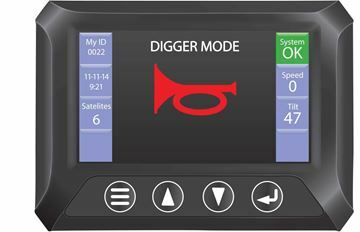 The Hummingbird Silent Horn - Elite System for Trucks is a replacement for noisy machine horns on site, when the horn is activated a buzzer is displayed on the colour readout along with the load number.